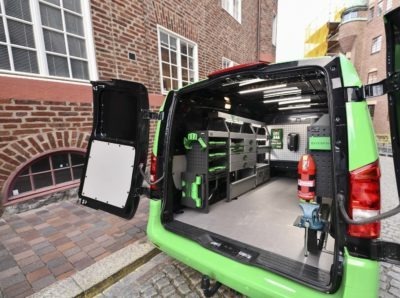 System Edström Bilinredningar AB is one of the oldest and leading companies in Europe producing and selling van racking systems for service vehicles. The company has been operating since 1958. System Edström Bilinredningar AB, manufacturer of van racking for transport vehicles, is very proud to be the first van racking manufacturer in Sweden to obtain the Qualified Vehicle Modifier (QVM) by Ford. It is a quality assurance to ensure that construction work in transport vehicles is done correctly – according to Ford´s bodybuilding instructions. Through this certification System Edström in Kista is now approved fitter of all Ford transport vehicles. System Edström Bilinredningar AB manufactures and sells flexible van racking for transport vehicles. The company has more than 60 years’ experience in the industry. System Edström is the market leader in Sweden and is represented in most countries in Europe. System Edström´s products are sold and assembled mainly through their 150 bodybuilders around Europe. The van racking from System Edström can of course also be purchased at the same time as when buying the transport vehicle from a van dealer. The head office is located in Kista, Sweden. At the same address is also one of System Edström´s two Stockholm-based assembly facilities. Distribution of the company´s products is based on the central warehouse in Alfta, Sweden. In Corby, UK, System Edström´s affiliate is located with a large assembly facility. System Edström also has an approved QVM certification from Ford in the UK. It feels very good that System Edström Bilinredningar AB, manufacturer of van racking for transport vehicles, is the first van racking manufacturer in Sweden to have a quality-assured certification for our products and mounting constructions, says Tobias Hägg, Head of Transport Vehicles at Ford Sweden. Every year, System Edström equips 15,000 work and service vehicles with systems adapted to the special racking needs of each individual client. With standard packages available for each type of profession or with specially-designed kits. This could involve everything from individual vehicles for a small company to 100 vehicles or a fleet of several thousand. –Mobile workshops are often overlooked as an opportunity for satisfying customers needs,” said Steffen Karlsson,CEO of System Edström Bilinredningar AB. We are talking about vehicles for services in the broadest sense, installation and construction or simply mobile workshops. For instance, the servicing of transport vehicles at the customer’s premises. In 2017, 101 new mobile workshops rolled out to Ford dealerships in Great Britain. –These units make it easy for car company customers to have their cars serviced faster and without an interruption in their work, which saves the costs of loaner vehicles and reduces the need for service shop space. 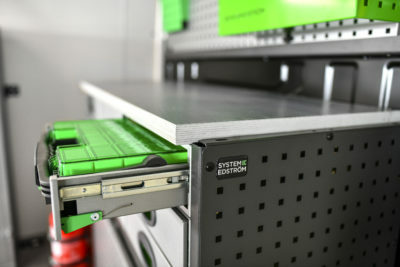 System Edström delivers van racking systems and offers intelligent custom designs to enable customers to work more efficiently. System Edström is a market leader in Sweden but sells throughout Europe with the Nordic region, Great Britain, France, the Benelux countries and Germany as the main markets. The field is growing quickly in pace with the growing awareness of the importance of the work environment and safety. –The market for these types of vehicles is growing faster than car sales,” says Steffen Karlsson. Well equipped vehicles vastly increase work capacity. The systems can include 220 volt power supplies, LED lighting, connection and communications technology, data-intensive environments, demands on safety and the work environment, visibility-improving measures and improved ergonomic standards. The systems can include 220 volt power supplies, LED lighting, connection and communications technology, data-intensive environments, demands on safety and the work environment, visibility-improving measures and improved ergonomic standards. But most of the vehicles that System Edström equips are up to 3.5 tonnes in size. –The mobile workshop is a vital communications channel to market and position the user in terms of his customers. Today, vehicles can become much more visible and serve as rolling billboards for customers and staff,” says Steffen Karlsson. 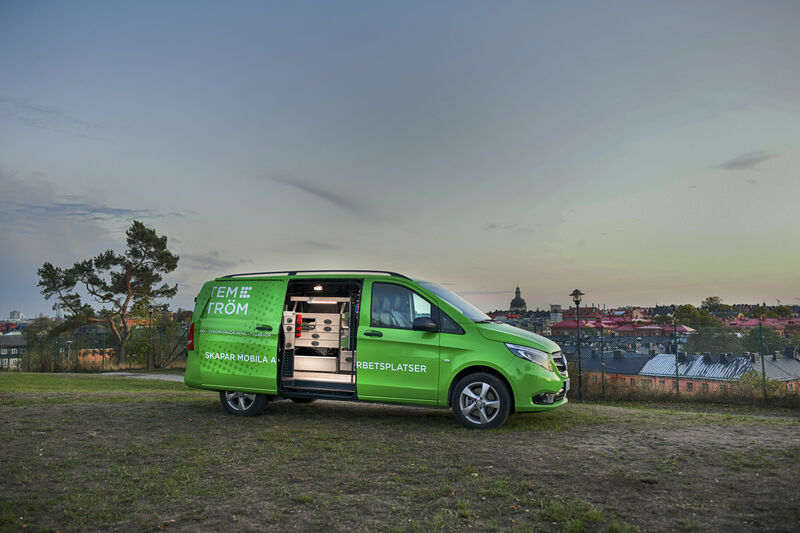 Moving forward, System Edström recognizes the exciting opportunities offered within areas such as the electrification of vehicle fleets, mobile connections to networks and other units, and a continued development of new, innovative, complete packages in which smart van racking products are integrated in an optimal package for customers where productivity and usefulness for the customer’s customer is the key. –Start by finding the fundamental ambition of your company in terms of its existing and future vehicle fleet. This could be anything from simply keeping a vehicle organized to providing safety that saves time and offers better health to more advanced promotion of vehicles and finally to an entirely new way of delivering the company’s services. And enlist the aid of a racking systems supplier or builder. It is easy to overlook the opportunities presented by today’s products and solutions. Edström Bilinredningar was founded in 1958 and today has sales of SEK 178 million with 60 employees and works together with local car dealers and conversion workshops.